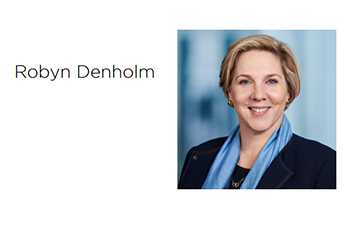 Tesla has appointed Robyn Denholm as Chair of the Tesla Board, effective immediately, replacing Elon Musk who steps aside as part of a settlement with the SEC. Denholm currently serves as CFO and Head of Strategy at Telstra, Australia's largest telecommunications firm. She will be leaving Telstra to take on the Chairmanship of Tesla on a full-time basis. Denholm has served on the Tesla Board as an independent director since 2014. Her global experience in both Australia and Silicon Valley encompasses leadership roles across a range of technology companies, including Telstra, Juniper Networks, and Sun Microsystems. She is widely credited with leading a team that drove significant increases in Juniper’s revenues, overseeing Juniper’s corporate transformation during her nine-year tenure as Chief Financial and Operations Officer. Her experience also includes numerous finance management roles in the automotive industry while at Toyota. Tesla Motors has chosen Orange Business Services to provide wireless connectivity to its fleet of Tesla Model S vehicles in France. Tesla will be able to offer their French customers interactive navigation services, Internet radio and web browsing, as well as provide seamless remote diagnostics and over-the-air updates of M2M software. 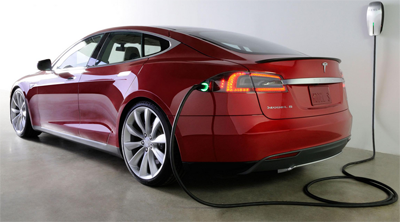 In June 2014, Telsa Motors selected NTT DOCOMO to provide M2M connectivity and mobile communications for the Tesla Model S in Japan. The in-car telematics include navigation using high-resolution maps, online music such as on-demand Internet radio, and communications via the vehicle's 17-inch touchscreen. Tesla anticipates first deliveries of it its Model S in Japan this summer. Telsa Motors has selected NTT DOCOMO to provide M2M connectivity and mobile communications for the Tesla Model S in Japan. The in-car telematics include navigation using high-resolution maps, online music such as on-demand Internet radio, and communications via the vehicle's 17-inch touchscreen. Tesla anticipates first deliveries of it its Model S in Japan this summer. Tesla selected DOCOMO after favorably evaluating its mobile network infrastructure's stable, extra-wide availability, including in downtown areas with skyscrapers and in mountainous regions, and extensive support for corporate customers.